I know it's been several months since I've submitted anything but I haven't been resting all this time (only some of the time). 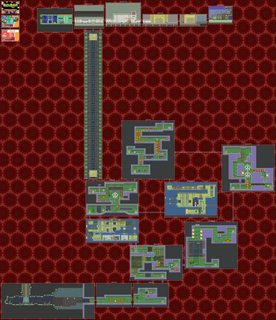 The truth is, I've started several projects that ended up proving to be too demanding on a technical level for very little reward. 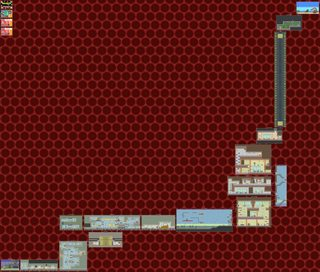 But since I'm tired of never showing anything because it's not finished, I actually spent all the time I needed to come up with the finished presentation for this project so even if I never finish it, at least a couple of maps will end up on the site as official submission. 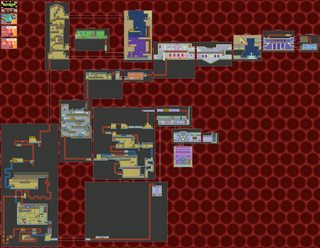 Anyway, here are the maps done so far for Drill Dozer for the Game Boy Advance. Welp, it's been over a month since I posted the above but I haven't been slacking! 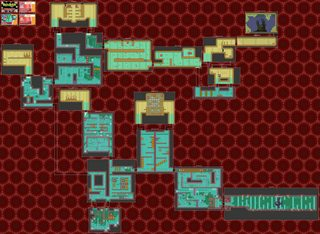 I'm almost done with two more levels but capturing the starting position of the various enemies was slowing me down immensely. Thankfully, I just found a much faster (and perfectly accurate) method so hopefully I should have more of this game by the end of the week. Looks like I've finally picked up some speed on this. I can't promise to post new maps regularly, what with my summer vacations coming up soon but I'll certainly try. Regarding the formatting tweaks, I decided to change a number of little things. For starters, the game's dialog boxes were just too ugly so I decide to simply use the game's font with an added outline for the treasure names as well as the Exit and the new Start labels. I also added thinner connection between rooms to signify door transition, with arrows denoting one-way passages; it makes it easier to follow the flow of a given stage. 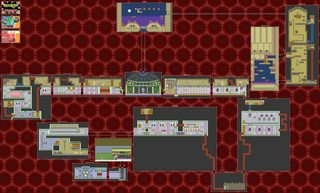 The first map, Red Dozers' Training Course, is still incomplete but it'll be a while before I add what's missing, namely the purpose of the Enigma Room, the levels of Unlock Codes as well as the Secret Passwords and their various effects. I figure I'll eventually add a giant box with all that info as well as graphics representing the various effects of the passwords but that can wait. Oh and Jonleung, I noticed you went ahead and submitted the first one by using the link I provided. Is this preferable for you or would you prefer submissions by email like I've always done? This time around, for the life of me, I can't seem to get the full-sized image to appear...is it Photobucket or is it just me? Should probably still be via email generally, thanks. I finally know how to link the images directly, so updated the links in the first post. Nope, still not working. Sorry about that. Photobucket seemed to be the best available option in terms of free image hosting, but the downside is the apparent inability to link to the images directly. You have to click on the Download link under Media Option in the bottom right corner of the page of a specific image. I'm not even going to attempt to attach another map to a post considering how often that features ends up corrupting the forum database (I'm up to three times already). So yeah. I'm still alive, though I haven't mapped much over the last few months. I'm hoping to correct that but as always, free time is a rare commodity these days. Well, the sun is back at last, along with some much-needed mental energy and I've finally resumed active work on this project. -Changing the position of a few rooms to straighten connecting arrows. 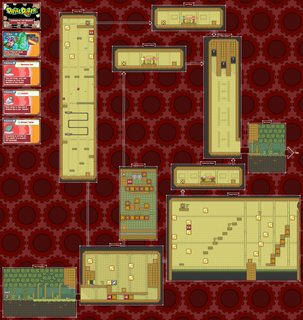 -Altering the spacing between rooms to make said arrows more visible. -Changing the color for some treasure labels because I hadn't realized that they were red before being examined and turned grey after. -Correcting a few stray pixels. -Changing the date to reflect the revisions.